In the month of April, each year, Palestinian detainees, the Palestinian people, and the world mark the International Day of Solidarity with Palestinian Prisoners. 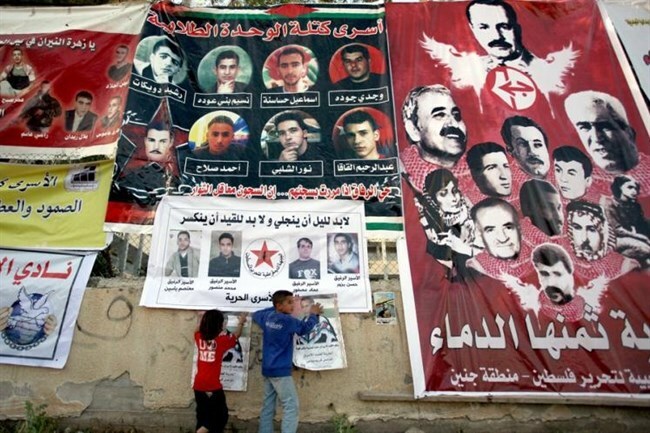 Prisoners’ Day has been commemorated since 1974 by the Palestinian National Council, when the first Palestinian prisoner, Mahmoud Hijazi, was freed in a prisoner exchange with the Palestinian Resistance. 17 April is a day of protests, rallies, marches, forums and more to commemorate the struggle of Palestinians imprisoned in Israeli occupation jails and demand their freedom. The occasion comes, this year, with nearly 7,000 Palestinian prisoners trapped in Israeli prisons, including 69 women, 400 children and 450 administrative detainees held in 22 Israeli prisons and detention centers in inhumane conditions. About 400 children under the age of 18 are currently held in Israeli prisons. Dima Al-Wawi, 12, and Shadi Farrah, 12, are the youngest, the Palestinian Prisoners’ Society said. The number of administrative detainees currently confined to Israeli jails is 750, according to Al Ray Palestinian Media Agency; 700 are patient prisoners, including 23 prisoners languishing in Ramleh Prison Clinic, most of them receiving only painkillers and anesthetics. In 2014, Israeli occupation authorities re-arrested more than 70 prisoners who were freed in the Shalit prisoners swap deal, most notably Nael Barghouti, who spent 34 years in Israeli jails. Two prisoners, Jaafar Awad, 22, from Hebron, and Fadi Ahmad Al-Darbi, 30, from Jenin, died shortly after their release, due to the deliberate medical neglect policy, bringing the number of the slain, from the prisoners’ movement, to 207. Facts and testimonies of detainees assure that the vast majority of those who have experienced incarceration were subjected to a form of physical or psychological torture; abuse and moral insult. Within the Israeli restrictions imposed on the Palestinian prisoners, the Israeli Knesset has approved a number of racially biased policies, such as the force-feeding of prisoners on hunger strike, in 2015. Israeli courts have also been compelled to sentence stone-throwers with severe punishment, ruling a minimum of two years and a maximum of four years imprisonment. Marking Palestinian Prisoners’ Day, many national and official bodies have launched conferences, ground-events, and demonstrations to support the rights of Palestinian prisoners trapped behind the Israeli bars. On 15th April, weekly demonstrations against the Israeli occupation were held throughout the occupied West Bank commemorating ‘Prisoner’s Day’. Kafr Qaddum village has been separated from their main access road to the Palestinian city of Nablus for 13 years. 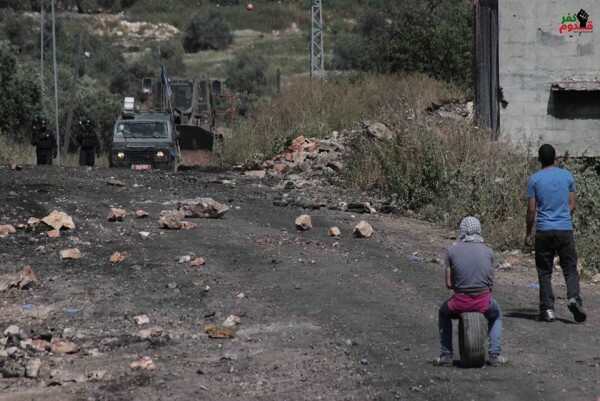 They hold weekly demonstrations against the closure of this road, which was initially closed in order to allow free movement for settlers from the nearby illegal Qedumim settlement. This Friday Israeli forces inundated the demonstrators and part of the village with tear gas, resulting in dozens of people receiving emergency medical treatment for excessive tear gas inhalation. In an all too common act of collective punishment, Israeli forces did not only target the demonstrators with tear gas and rubber coated metal bullets, but also sprayed civilian homes in the village with foul smelling ‘skunk water’. Early in the morning, before the start of the demonstration, Israeli forces closed the village entrance, arbitrarily (and illegally) declaring it a ‘closed military zone’ in order to prevent international and Israeli activists from participating in the demonstration. In the village of Nabi Saleh, villagers, international solidarity activists and journalists demonstrating the Israeli occupation and theft of land, were attacked not only by the Israeli forces, but additionally by settlers from the illegal settlement of Halamish. Israeli forces inundated the protest with tear gas, causing several cases of excessive tear gas inhalation. Israeli forces at the Ofer military prison complex fired stun grenades, tear gas, rubber coated metal bullets as well as live fire at unarmed protestors. They arrested four protestors and, in an act of collective punishment, entered the village of Beitunia arbitrarily shooting tear gas into the streets causing civilians to suffer from excessive tear gas inhalation. Palestinians and supporters world-wide commemorate Prisoner Day on 17th April each year, in solidarity with Palestinian political prisoners in Israeli jails. There are at least 7000 Palestinian prisoners in Israeli jails, 750 of whom are held under ‘administrative detention’ without charge or trial. This includes 1400 minors under the age of 18 since October 2015. Under Israeli military law – which is effect throughout the West Bank – Palestinian children as young as 12 years old can be arrested by Israeli forces. In many of these cases the children are denied access to family, lawyers and their most basic human rights. They are often interrogated, intimidated and physically and psychologically threatened without a family member or lawyer present. As a result these children can be forced to sign confessions in Hebrew, a language they do not understand. 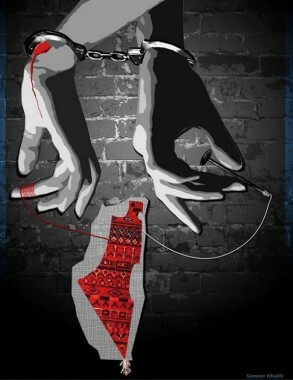 Most Palestinian prisoners are transferred to prisons within the Israeli territories. This act is illegal under international law that prohibits the transfer of prisoners from the occupied Palestinian territories into an area where they can only receive family visits after applying and receiving permission from the Israeli government. This is a permission, of course, that is very rarely granted. Poetic Injustice: Free Dareen Tatour! Dareen Tatour, 33, a Palestinian poet, photographer and activist was arrested at her home in Oct. 2015. They didn’t have a search order or a warrant. At 3:00am before dawn, on October 10, 2015, patrol cars from Nazareth police, escorted by a unit of Israel’s notorious “Border Guards”, surrounded a quite house in the nearby village of Al-Reineh. They broke in and waked up the terrified family. Their target was Dareen Tatour, 33, a Palestinian poet, photographer and activist. They didn’t have a search order, neither an arrest warrant, but they carried the astonished Dareen with them anyway. October 2015 saw a wave of mass struggle by the Palestinians, centered in Al-Quds as response to Israeli provocations in Al-Aqsa, but spreading throughout Gaza, the West Bank and the 48 occupied territories. But Dareen didn’t expect to be arrested. She didn’t take part in the demonstrations this time. She used to go to demonstrations before and as a photographer was targeted by the police. She was wounded in 2008, as settlers and police attacked the March of Return in Saffuriya. Apparently the immediate reason for Dareen’s detention was a status that she published on Facebook. On October 9 a Palestinian woman from Nazareth, Israa Abed, a mother of 3 and a post-graduate student of genetic engineering, was shot by Israel soldiers in the central bus station in ‘Afula, on her way home from her studies. The films of her cold-blooded shooting by several Israel soldiers were published everywhere. The Arab public was shocked. 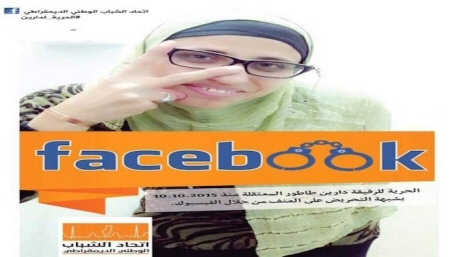 According to the Israeli police Dareen posted Israa’s picture and wrote “I will be the next martyr”. The main clause of the indictment is based on a poem that she (or somebody else using her name – the case is still in the court) published in “youtube” under the title: “” – “resist my people, resist them”. There is nothing illegal in this poem, not even according to Israel’s anti-democratic laws. But the poem is read against a background of Palestinian youth clashing with the occupation forces. The Israeli prosecution and media now relate to such iconic images as “Palestinians engaged in terrorist activity”! Another main clause in the indictment relates to an item from the news, cited in a post on Dareen’s Facebook page, according to which “The Islamic Jihad movement calls for continuing the Intifada all over the (West) Bank…” The same post calls for “comprehensive intifada”. You can argue what this call for intifada means, but there is no support for Islamic Jihad there. The same report could appear, using exactly the same language, in an Israeli media… But Palestinians are always suspected of not really loving their oppressors. The prosecution went on to demand that Dareen will be held in a house that is isolated from the internet, under the supervision of volunteer guards that should be with her for 24 hours a day and pay a high penalty in case of any infringement. They objected to any specific proposal that met these harsh conditions and appealed to the district court over any decision of the low court that seemed a bit lenient toward Dareen. Free Haifa is one of a million new spaces which opened to develop and display the thinking of the Arab revolution. The Committee to Support Palestinian Journalists said, on Saturday, that Israel had detained 43 journalists in the occupied Palestinian territory since October 2015, including two foreign reporters.The New York-based committee said in a report that during detention and imprisonment, journalists have reported torture, medical negligence, and unreasonable and illegal rulings by the Israeli authorities. According to Ma’an, at least four of the 43 journalists were released in February and March, while 20 others — including a female journalist and a media student — remain in Israeli prison, and others have been transferred to house arrest. The report also said that three journalists were suffering from medical conditions. Bassam al-Sayih was suffering from an advanced stage of cancer and administrative detainee Ali al-Ewawi was suffering from ulcerative colitis. The committee added that Palestinian journalist Muhammad al-Qiq was still recovering from his grueling 94-day hunger strike that brought him close to death, and was currently being treated in Israel’s HaEmek Medical Center in Afula. The journalists’ rights committee released Saturday’s report marking Palestinian Prisoners’ Day, held on April 17 every year in solidarity with the 7,000 Palestinian prisoners being held in Israeli prisons.The Israeli crackdown on media organizations and journalists in particular has been part of a systematic policy that often designates outlets affiliated with Palestinian political parties as terrorist organizations, according to Palestinian prisoners’ rights group Addameer.“The practical implication of these broadly-defined offenses is the criminalization of many aspects of Palestinian civic life,” Addameer stated. The watchdog also released a report, last month, showing that 2015 had seen an “unprecedented” increase in Israeli violations against Palestinian journalists across the occupied Palestinian territory. A Palestinian official has accused Israel of killing 207 Palestinian prisoners and detainees directly or indirectly since 1967. Senior official of the commission of detainees' affairs Abdul-Naser Farwana stated on Sunday that seven of those victims had been shot dead directly by Israeli soldiers or officers in prisons. Another 126 prisoners died as a result of torture or medical neglect in prisons or after their release and 74 others were killed immediately after or during their detention, Farwana added. The official also noted that dozens of wounded Palestinians were cold-bloodedly killed by Israeli security and military forces during the current intifada. Palestinian lawmaker Abdul-Rahman Zaidan has called on the popular and official bodies in the Palestinian arena to work on ending the suffering of isolated prisoners in Israeli jails, especially hunger striker Shukri Khawaja. In press remarks, Zaidan stated that the Palestinian prisoners have the right to receive every kind of support from their people, especially when they decide to take fateful steps and go on hunger strike. The lawmaker hailed some prisoners for supporting Khawaja by going on hunger strike in solidarity with him. He also called on the Palestinian Authority, in particular, to activate its role towards the prisoners and raise their issue at the international level. Palestinian Prime Minister Rami Hamdallah marked Palestinian Prisoner’s Day Sunday, highlighting the record number of children being held in Israeli jails. "The Israeli occupation has transformed our homeland into a large prison,” he said. Among the 7,000 total Palestinian prisoners, 68 are women, 438 are minors, and 98 are children under the age of 16, according to prisoner’s rights group Addameer. Six of the 700 Palestinians in administrative detention are children, being held for indefinite periods without charge or trial. A report released last week by Human Rights Watch documented -- again -- cases of Palestinian children detained in the occupied Palestinian territory being abused by Israeli forces and “routinely” interrogated without the presence of their parents, in violation of international law. “Palestinian children are treated in ways that would terrify and traumatize an adult,” said Sari Bashi, Israel and Palestine country director for HRW. Interrogations of Palestinian children can last up to 90 days according to Addameer, during which they are beaten, threatened, sexually assaulted, and placed in solitary confinement to elicit confessions, the prime minister’s office added, noting that the confession documents they are forced to sign are in Hebrew -- a language most Palestinian children do not speak. According to Defense for Children International-Palestine (DCIP), three out of four Palestinian children experience physical violence during arrest, transfer, or interrogation by Israeli forces. Human rights group B’Tselem documented a 250 percent increase in Palestinian minors in custody during the last three months of 2015, in tandem with a wave of violence that has spread across the Palestinian territory since October. During the same period, Israel detained some 1,500 minors. Since October, the age of Palestinian children in custody have also dropped, B’Tselem noted. The proportion of minors in custody under the age of 14 rose from 0 percent to 1 percent, and of minors between the age of 14 and 16 rose by 11.7 percent. "Israel's policies of detention and imprisonment violate all international legal standards, and are intended to obstruct the daily lives of Palestinians, in order to oppress an entire population," the prime minister said. The Arab League also issued a statement Sunday to commemorate Prisoner’s Day, noting that Israel’s disregard for international law at the expense and suffering of Palestinian prisoners and detainees hinders the peace process in the region. The Palestinian Human Rights Organizations Council commemorated the day, calling for the end to collective punishment by Israel and an investigation by the International Criminal Court. “Israeli mass incarceration of Palestinians is an inextricable part of the ongoing violence of occupation,” the statement read. “It is important that on Palestinian Prisoners’ Day, we all stand united to call for an end to Israeli violations of Palestinian rights. Head of Hamas's political bureau Khaled Mishaal has said that his Movement is committed to freeing prisoners from Israeli jails soon. 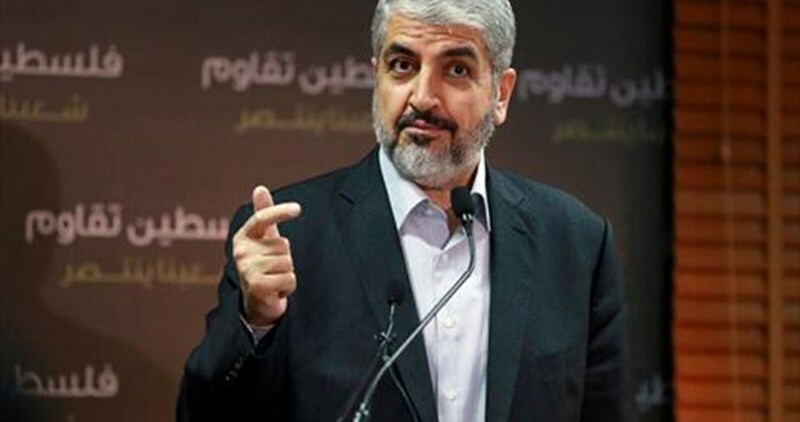 Mishaal made his remarks in a speech on Sunday on the occasion of the Prisoner Day and the anniversary of the martyrdom of Hamas leader Abdul-Aziz al-Rantisi. The Hamas official pointed to efforts being made by Hamas to reach a prisoner swap deal soon to extract the freedom of many long-time and new prisoners. Mishaal also talked about his Movement's respect for the rights of soldiers held captive in Gaza. "We are morally superior to the occupation, as evidenced by the treatment we gave prisoner Shalit because we are a people who have a great faith, mercy, humanity, values and heritage to cherish," he underscored. 3,000 Palestinian prisoners declared Sunday a one-day hunger strike in solidarity with their colleagues held in Nafha prison, Palestine Center for Prisoners’ Studies said. Spokesman for the center Riyad al-Ashqar said that 3,000 Palestinian prisoners held in four Israeli jails (Nafha, Raymond, Eshel, and Negev) declared a one-day hunger strike in protest against the Israeli brutal attack on Palestinian prisoners held in section 14 in Nafha jail. Earlier Tuesday, 48 Palestinian prisoners were injured after Israeli Special Forces stormed section 14 in Nafha prison and attacked and sprayed the prisoners with pepper gas. Several injured prisoners were transferred to Soroka Hospital while others were arbitrarily moved to solitary confinement. Al-Ashqar said that the prisoners in Nafha prison threatened to take escalatory protest steps in the coming few days in protest against Israeli repressive policy and punitive measures. Meanwhile, 35 Palestinian prisoners held in Eshel and Ofer jails joined the hunger strike declared in solidarity with the isolated prisoner Shukri Khawaja. Khawaja had earlier declared an open hunger strike in protest against his continued isolation since 2014. 16 Palestinian prisoners are currently held in solitary confinement. The Israeli Occupation Forces (IOF) launched at dawn Sunday an arrest campaign across occupied Jerusalem and West Bank. Israeli Army claimed that nine “wanted” Palestinians were arrested Sunday morning for allegedly being involved in anti-occupation attacks. Two arrests were carried out in Ramallah and Bethlehem, while seven others were arrested in al-Khalil. Three youths of the reported detainees are affiliated with Hamas Movement, the Israeli sources said. 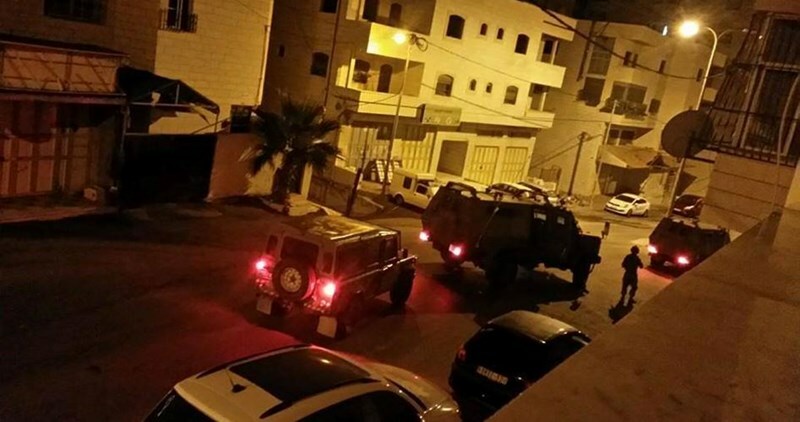 The PIC news reporter pointed out that three youths were arrested after Israeli forces violently stormed their houses in al-Khalil. For his part, the local activist Mohamed Awad said that a minor was arrested from his family home in Beit Ummar town in al-Khalil, while a young man was summoned for investigation. Meanwhile, a 23-year-old university student was arrested in Ramallah, while an ex-detainee was detained as IOF broke into his house south of Bethlehem. A young man was also arrested in occupied Jerusalem after Israeli police stormed his house in Issawiya town east of the city. On the other hand, Israeli police forces stormed a house in Qalandia refugee camp north of the occupied city belonging to the slain Palestinian Omar Matar for the tenth time within two months. 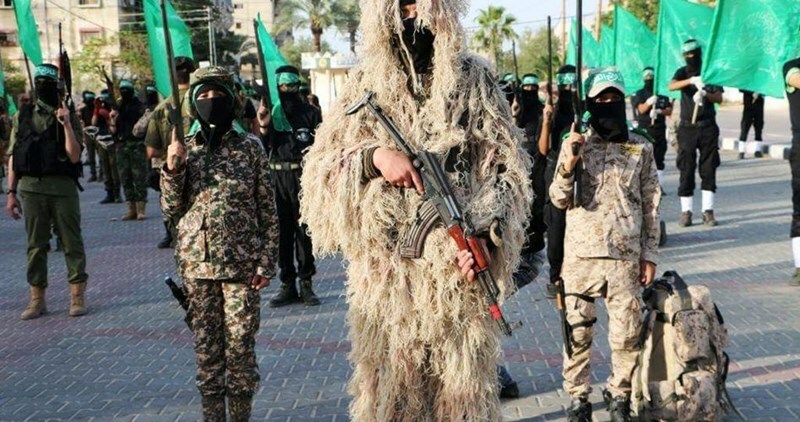 Al-Qassam Brigades, the armed wing of Hamas, organized on Saturday a military parade to mark the Palestinian Prisoner Day, which falls on April 17 each year. The participants in the parade marched from at al-Samer intersection in Gaza City to Palestine Square, amid massive presence of citizens. 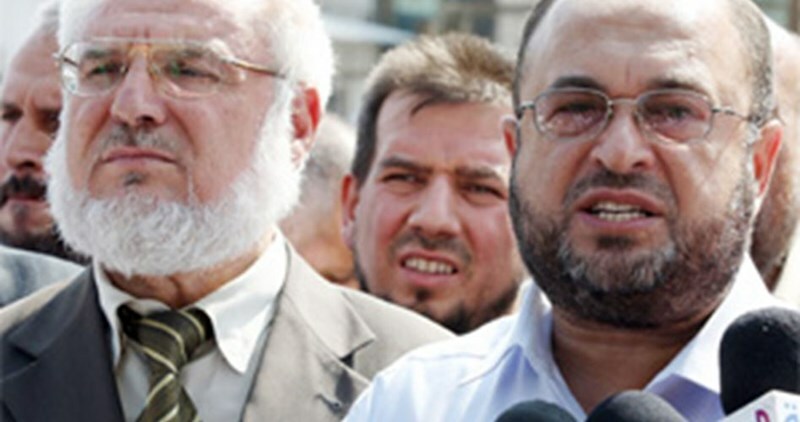 During the event, senior Hamas official Marwan Abu Ras reiterated al-Qassam Brigades' vow to extract the freedom of all prisoners in Israel jails. "Al-Qassam Brigades will not rest unless all prisoners get back safely to their families," he said. 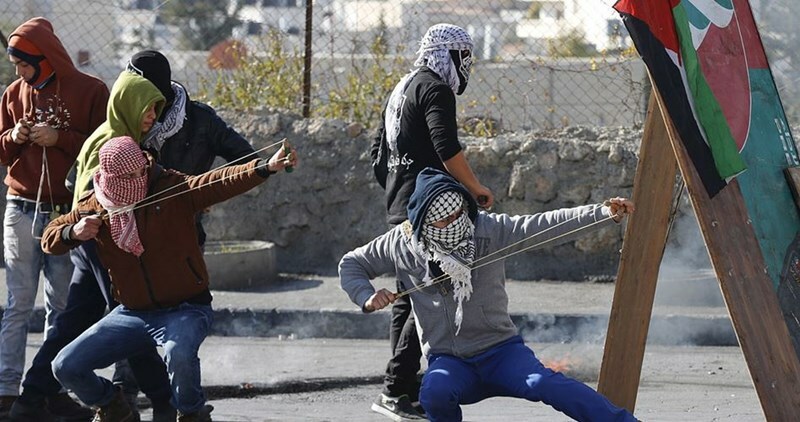 The popular committees against Israeli occupation called for flaming clashes with Israeli forces in solidarity with Palestinian prisoners and in support of Jerusalem Intifada on the Palestinian Prisoner Day which coincides on Sunday. The popular committees urged Palestinians to take to the streets and go to the flash points close to Qalandya, Aidah and Aroup refugee camps as well as Ofer Israeli jail in order to participate in clashes and confrontations against Israeli forces. The committees called for escalating popular resistance on Sunday against Israeli soldiers and settlers to mark Palestinian Prisoner Day. 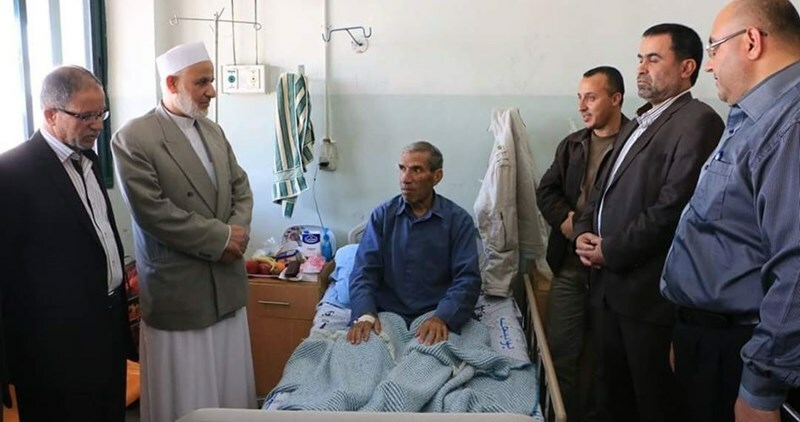 Islamic Resistance Movement, Hamas, along with Waed society for Palestinian prisoners and ex-prisoners in Khan Younis arranged on Saturday visits for the families of sick detainees and those of high sentences and honored them. The visiting delegation included MPs Younis al-Astal and Younis Abu Daqqa as well as Abdulhadi al-Agha and the ex-detainee Ihab Bdair, head of Waed society, in addition to a score of Hamas leaders in Khan Younis. MP al-Astal said that Hamas supports Palestinian prisoners in Israeli jails and works hard for their release and pointed out that the visit was arranged in coincidence with Palestinian Prisoner Day. 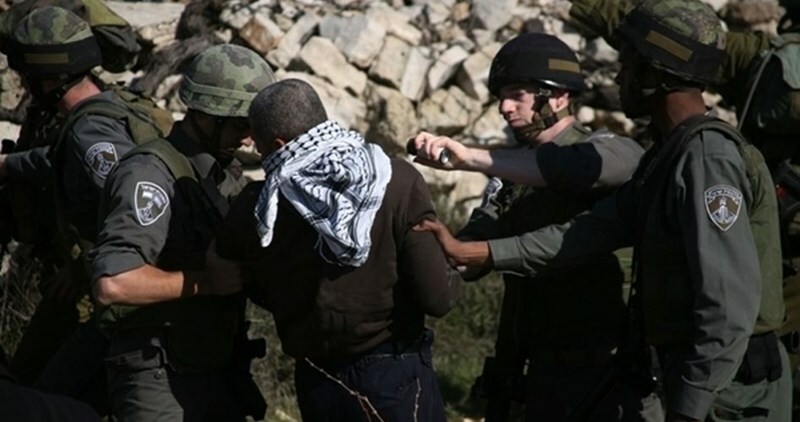 The Palestinian Detainees’ Committee and the Palestinian Prisoners’ Society (PPS) have reported that Israeli soldiers have kidnapped around 1.000.000 Palestinians, including tens of thousands of women and children, since occupying the West Bank, the Gaza Strip and East Jerusalem in 1967. Two detainees died in 2015 due to being denied access to specialized medical treatment. In their joint report marking April 17, the Palestinian Prisoners’ Day, the Detainees’ Committee and the PPS said the Israeli army has kidnapped, since the beginning of “Al-Aqsa Intifada,” in late September 2000, until this day, more than 90.000 Palestinians, including 11.000 children, 1.300 women and girls, and 65 elected legislators and government ministers. The report also revealed that Israel issued nearly 15.000 Administrative Detention orders, holding detainees for months, and in many cases for years, without charges. It added that the current number of Palestinians imprisoned by Israel, is at least 7.000 persons, including 70 women and girls, held in 22 prisons, detention and interrogation centers. The ‘Ofer Israeli military court later sentenced al-Wawi to four and a half months, and ordered her family to pay a fine of 8000 Israeli Shekels. She was frequently interrogated under harsh conditions without any legal representation or the present of an adult family member. Eyewitnesses denied the Israeli claims and said that the soldiers assaulted the child and abducted her, because she was walking close to an illegal colony (built on Palestinian lands) on her way to school. Al-Wawi is scheduled to be released by the end of this coming April. Among those kidnapped in the same period are 43 Palestinian journalists, who were kidnapped in different parts of the occupied West Bank. 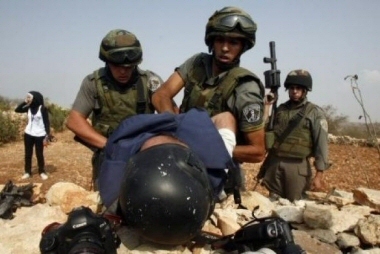 The report also said that the abductions and imprisonment violate the basic principles of International Humanitarian Law, and all related human rights agreements, especially considering that Israel tortures most of the detainees, in addition to carrying out terrifying dawn and late night invasions into Palestinian homes. “Testimonies and documented cases show that in virtually 100% of the cases studied, the detainees have been subjected to a form of torture or abuse; this includes physical violence, psychological abuse, and public humiliation,” the statement added, “They are even humiliated and assaulted in front of their families after the soldiers invade their homes to kidnap them”. In addition, the report added that Israel is currently holding 750 Palestinians under Administrative Detention, under alleged “secret files,” which are not allowed to be seen by the detainees, or their lawyers. As for ailing detainees, there are currently more than 1700, including 23 in the Ramla prison clinic. Many prisoners with illnesses and injuries remain in their cells, and are given only painkillers. 25 of these prisoners suffer from different types of cancer, and are deprived of the right to specialized medical treatment. The report also revealed that two Palestinian detainees died in Israeli prison in 2015, after being denied the right to specialized medical treatment, and that the number of detainees who died in Israeli prisons since 1967 is 207. The first detainee who died in 2015, is Ja’far Awad, 22, from the southern West Bank city of Hebron; he died on April 10, 2015, of various diseases he suffered after he was kidnapped and imprisoned by the army. He suffered from diabetes and pneumonia, as well as various gland issues and numerous complications. The second detainees is Fadi Ali Darbi, 30, from the northern West Bank city of Jenin; he died in October 2015, after suffering from various health complications, then suffered a stroke that put him in a coma for many days. This led to brain death, then death. Israel also rearrested more than 70 Palestinians who were released under the Shalit Prisoner Swap agreement in 2014, including detainee Nael al-Barghouthi, who had previously been imprisoned for 34 years. 47 of them had their previous sentences re-imposed on them – in direct violation of the terms of the release agreement negotiated with the Palestinian Authority. These include, in several cases, multiple life-terms, after Israel formed a special committee to look in their cases. One of them is Samer al-‘Eesawy, who held an extended hunger strike until Israel approved his release, and the army kidnapped him again later.